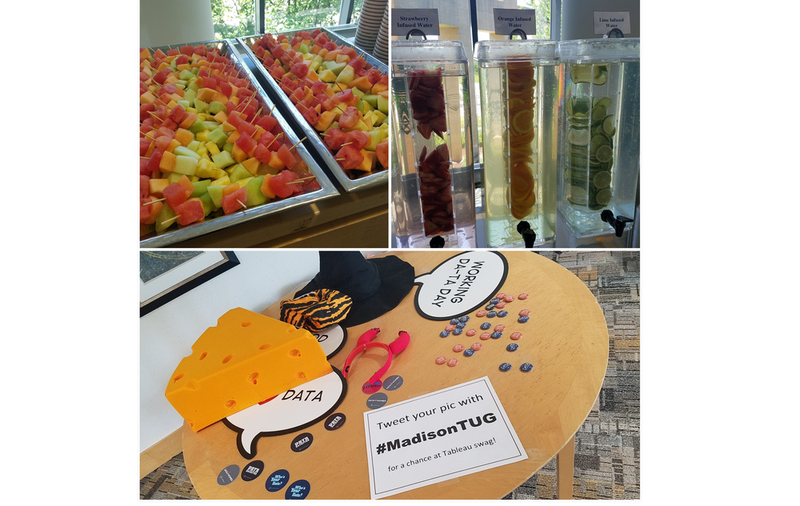 See details and register for our next event at http://madisontug.eventbrite.com. On June 15, 2017 we had a record breaking 250 registrants for our Q2 event which included presentations from Tableau Data Rockstars and our second annual Top Viz Competition. Thanks to American Family Insurance for hosting. Thanks to Amazon Web Services and Snowflake for sponsoring. Our Top Viz Competition is much like Iron Viz which you may have seen at a Tableau Conference. Contestant teams are given a data set about a week in advance. The day of the competition, they need to start from scratch with that data. They have 30 minutes to build their data visualizations that they will then two minutes to present to the judges. This year the teams were given data from Kickstarter. What they did with the data was up to them. Scroll down to view their presentation and their visualizations. Each member of the winning team received an Amazon Echo. Team Members: Brandi Beals, Patrick Dlugosch and Olga Rosales.